Participate with others in these retreats which are designed to assist a person who desires spiritual growth. The format for these retreats allows for small group gatherings which enable participants to converse on their prayer experiences and encounters with God. The imagery of a garden is used in various ways throughout scripture to speak of relationship with God, spiritual growth, and conversion. Jesus often used garden imagery to teach a gospel lesson. This retreat weekend will give participants time to cultivate the fruits of one’s own spiritual garden. 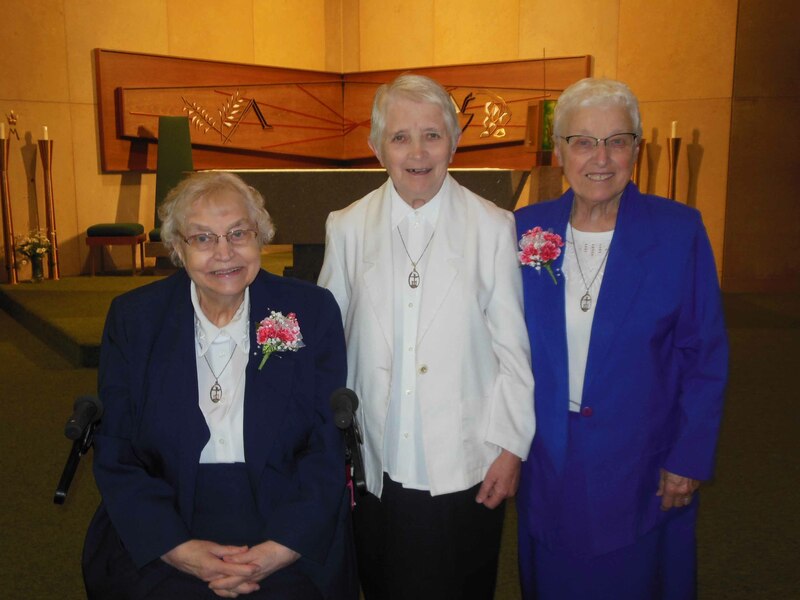 On July 1, 2018 Sister Marlyss Dionne and Sister Therese Celine Craven celebrated their 65th Jubilee. A festive Mass, planned by Sister Marlyss and Sister Therese Celine, was held in the Maryvale Chapel with their Religious Community. 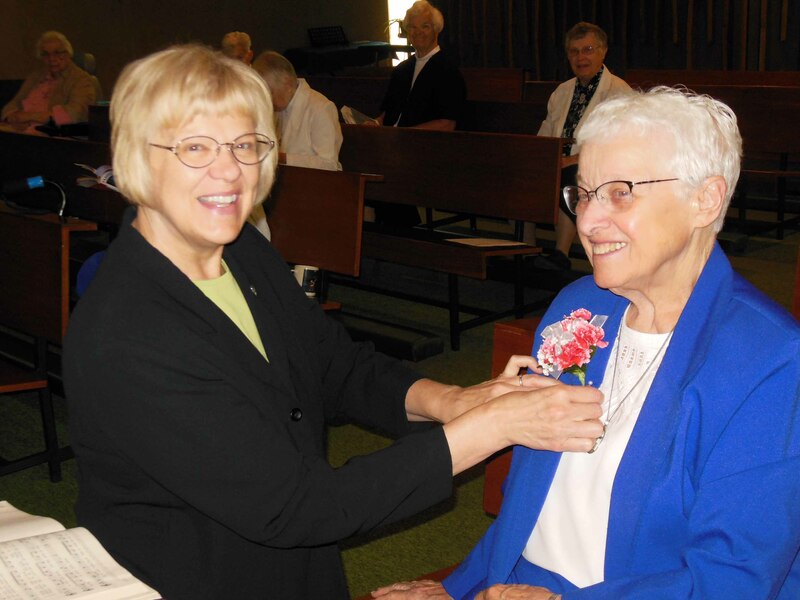 In attendance was our Superior General, Sister Jacqueline Josse (pictured), and Sister Mary Jo Guivarch from France. After Mass, the celebration continued with a delicious brunch and a sharing of memories by their Sisters in religion. Many cards, gifts, and good wishes were given to the celebrating Jubilarians. On Friday June 8th Father Don Leiphon celebrated his 50th year of ordination into the priesthood. 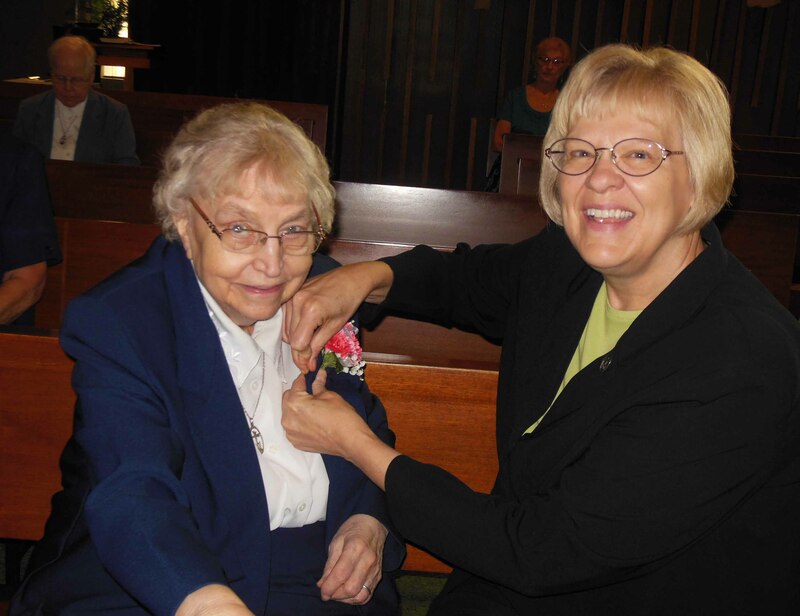 The celebration was held at Maryvale in the Sheyenne River Valley north of Valley City. where Father Leiphon serves as chaplain to the Sisters of Mary of the Presentation. The Mass was presided over by Most Rev. John T. Folda, Bishop, Diocese of Fargo. Father Don Leiphon grew up on a farm near Devils Lake, ND. He graduated from Assumption Abby College in 1962 and St. John’s University in 1966. Father Leiphon was ordained June 8th 1968 at St. Joseph Church, Devils Lake, ND by Most Rev. Leo Dworschak. He received a Master’s Degree in Christian Spirituality from Creighton University in 1984. Father Leiphon served at parishes in Oakes, Cogswell, Langdon, Nekoma, Milton, Osnabrock. In 1973 Father Leiphon was named pastor of both Sacred Heart Parish in Orrin and St. Anselm’s Parish of Fulda, and later also Our Lady of Mt. Carmel in Balta. In 1981, Father Leiphon was made Spiritual Director of Cardinal Muench Seminary in Fargo. In 1989, Father Leiphon took the position of Chaplin to the Carmelite Sisters at the Carmel of Mary Monastery, near Wahpeton, ND. In 2003 he became pastor St. Philip’s parish in Napoleon, ND. Today, Father Leiphon is Chaplain to the Sisters of Mary of the Presentation at Maryvale in Valley City, ND. In attendance at the celebration was the Bishop of the Fargo Diocese, thirty priests, the Sisters of Mary of the Presentation, and a large gathering of friends and family.